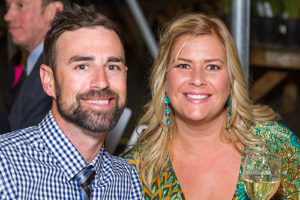 For more than a decade, guests attending Impact NW’s Annual Garden Party have enjoyed a great evening of fun amid the flowers and plants of Portland Nursery. But for Heidi Brinnich, the Garden Party provided an opportunity for healing and transformation. Heidi reached out to Impact NW about volunteering. She wanted to work with teenagers who had overcome big life challenges and who might benefit from a volunteer who understood what they are going through. Heidi went through it. As a teenager, she left an abusive home and found herself alone. She had a car and few possessions. That was all. “I really could have used an Impact NW in my life,” she said. “I figured it out, but my path might have been easier and shorter.” Heidi volunteers with teens who are aging out of the foster care system and who will be on their own soon. She’s a source of inspiration and fun for them. 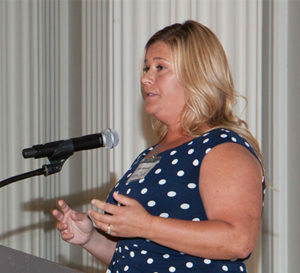 Heidi took her volunteering to another level this past May at Impact NW’s Power of One Luncheon. She told her story in front of 400 people. It was the first time she had publicly shared what she had overcome. She brought the house down; Impact NW enjoyed its most successful luncheon ever.